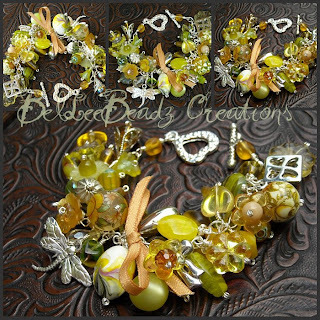 Lemon and lime or more specifically chartreuse ........ a color palette of beads between the colors yellow and green. 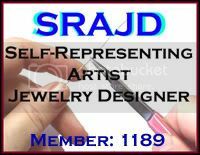 Chockful, this bracelet features czech glass, lucite, czech crystals, tensha, polymer clay, resin, and metal stampings. If there 'aint no sunshine around, this will surely light up anyone's day! 7-1/2"